Now that we're getting close to the finish line, I'm working on the final design details. 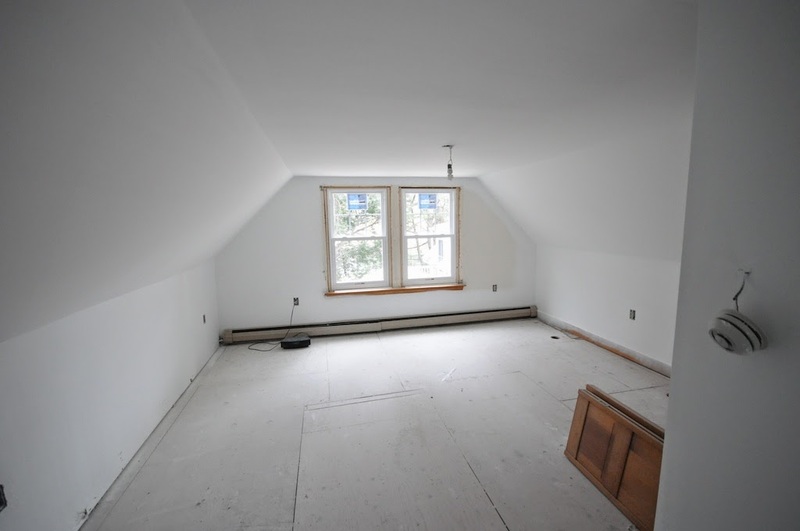 Since this is a new Master Bedroom, I really want to make it special. It's located in the back of the house, a great quiet location to get away from the hustle and bustle in the rest of the house. But it looks rather plain right now - we need to spice it up! 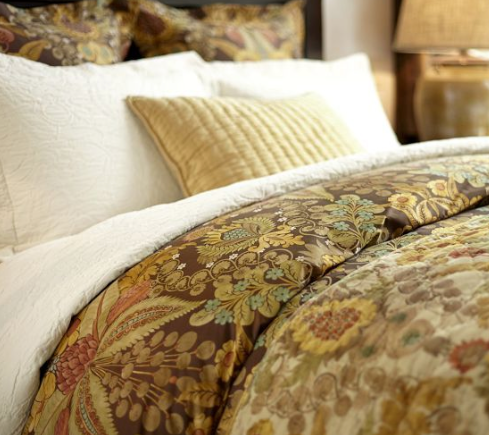 The starting point is this great duvet cover and sham set from Pottery Barn. I bought it in the fall, before we even started the project. It has all the Craftsman colors that I love and the pattern is perfect! This room has a great spot for a padded headboard, so I decided to whip one up (click here for instructions). 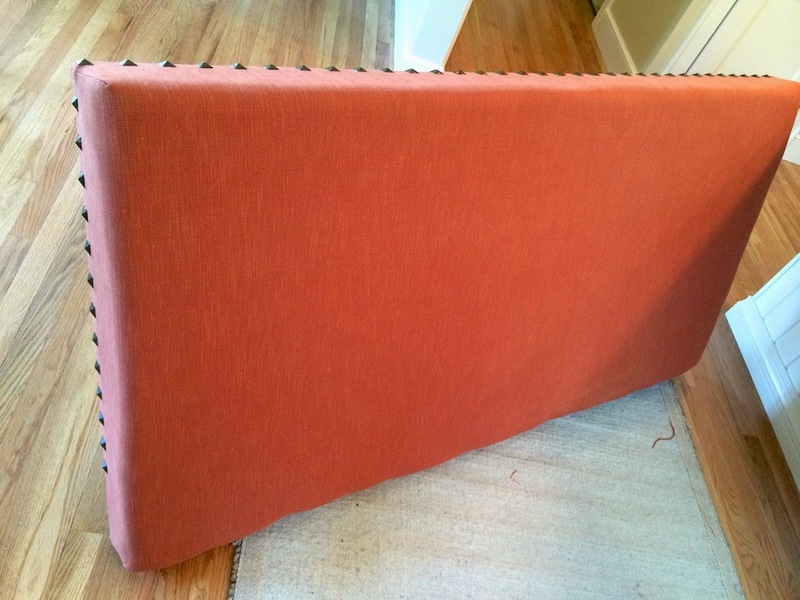 I used this beautiful linen blend fabric in a color called 'Paprika'. 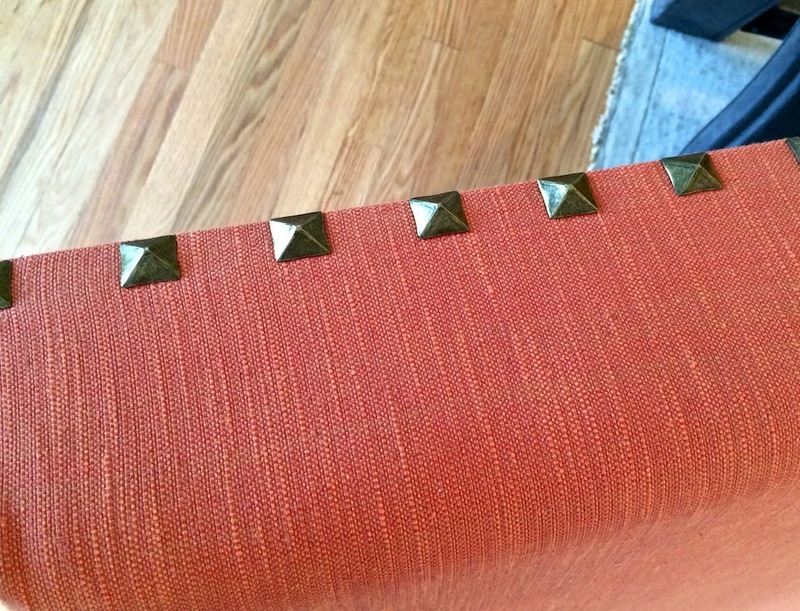 And to really set it off, I added oversized nail head trim every 2 inches. 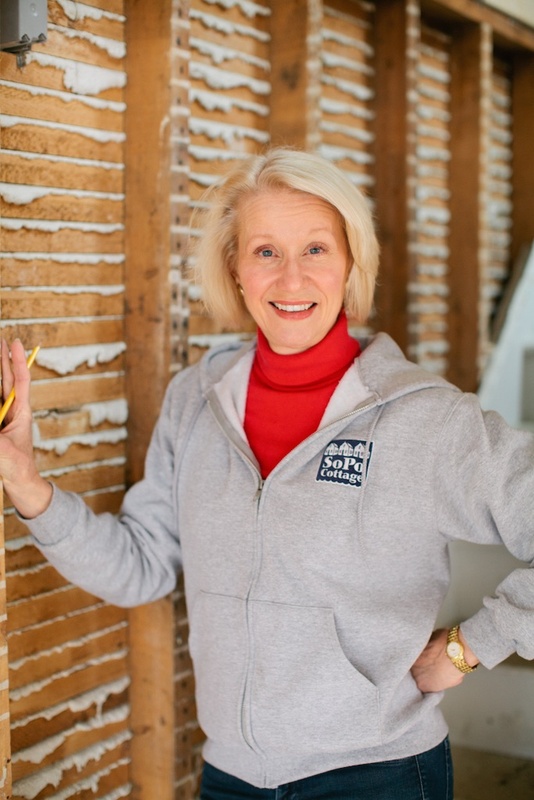 Next, we need drapes for the large windows across the back. 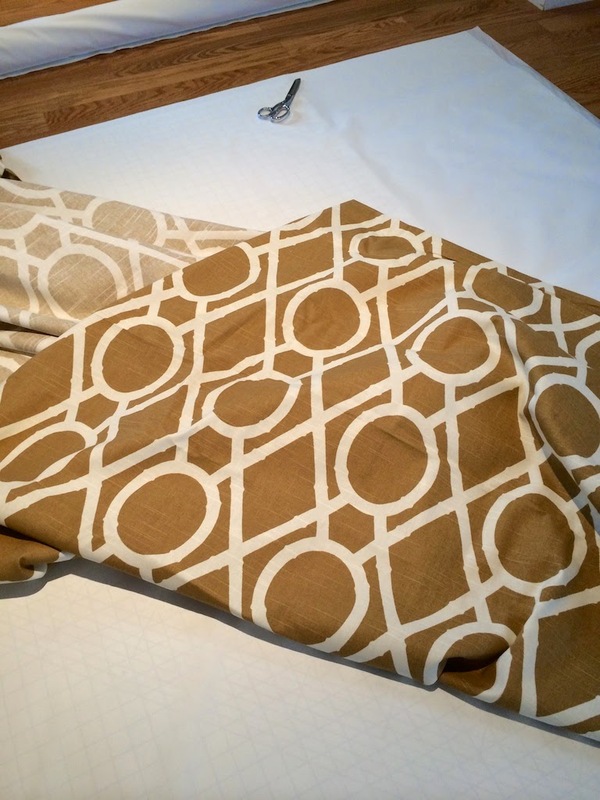 This David Allen fabric in a trellis pattern is a great compliment to the duvet cover. I'm just doing simple panels, for either side of the windows. But I made sham covers as well, to tie all the colors and patterns together. This is a good sized room, so the plan includes a cozy chair for reading a good book. 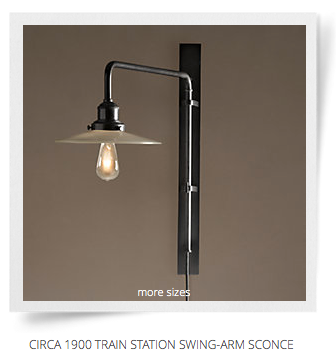 And this great Restoration Hardware light fixture will brighten up the spot. Of course we also need lots of room for storage. 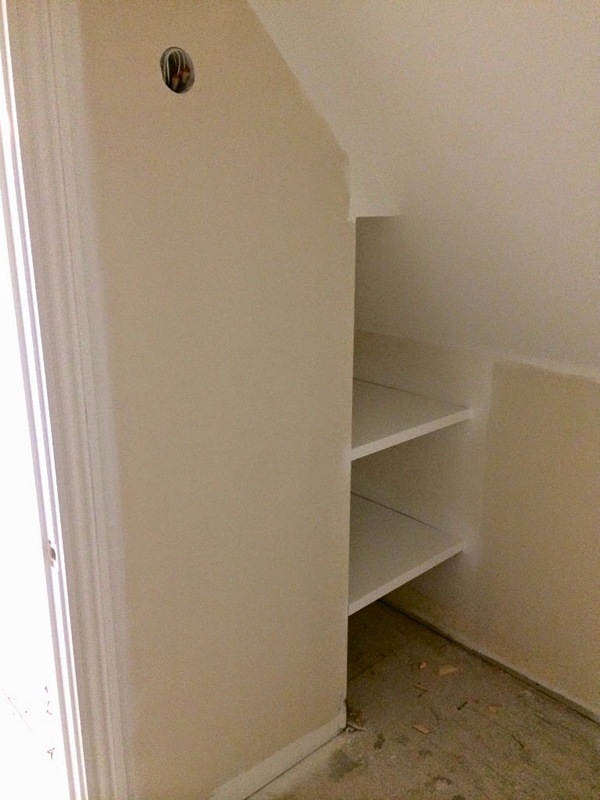 There is plenty of space for a chest of drawers. 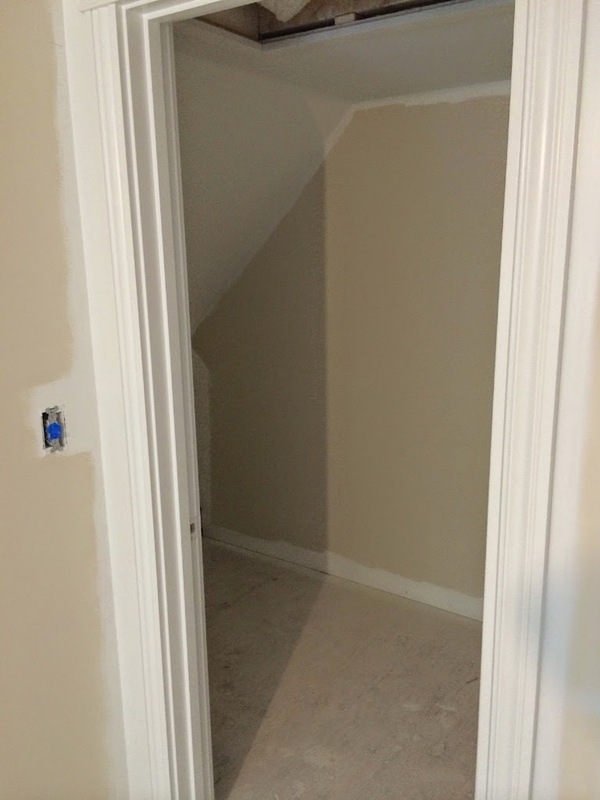 But the room also has a large walk in closet. And if the future owners need even more storage, there is a large space in the knee wall for bulky things like suitcases. We still need final trim, paint and the new hardwood floor. But we'll get to put it together soon! Lady - Is That a Doorknob in Your Purse?